After you have read something as perfect as Bright Side you are always going to be nervous reading the sequel, I mean, how can something so perfect ever be matched or even topped? Well, I needn’t have worried at all. As soon as GUS landed on my kindle I was all in from the first to last word. Kim Holden does Gus proud in this book and she has given us a story that was honest, real, emotional, intense and so heart-breakingly genuine that you just fell in love with these characters all over again. Kim Holden has once again touched my heart, I felt it all, the grief, the desolation, the turn around, that eureka moment and all the happy that follows. This book was perfectly balanced and I was so thankful that it rang true to life, losing someone that you are extremely close too is not something that you get over easily and it was never brushed aside, it was raw, but it was perfect. Gus as you could imagine really struggles in the beginning and this is where I felt Kim Holden really hit her stride. As I said above, I felt his pain, I felt his emotions, and I felt his devastation. Gus really struggles to find himself. Bright Side was his other half, his soul mate, how could someone possibly go on when one half of them is missing? I have to say I was really worried about Gus, I knew that this was going to hit him hard, but to see how vulnerable and broken he was, was soul crushing at times. I always knew that he would have to hit rock bottom before he could start his painful clamour to the surface and the way this book was written made that journey all the more honest, genuine and unequivocally believable. 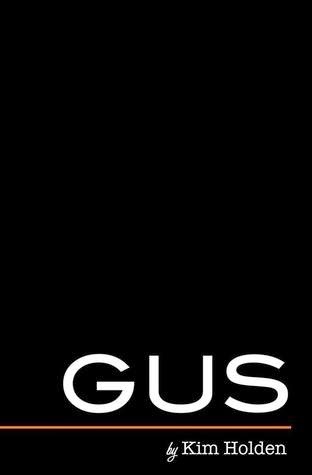 Gus in the beginning was a shell of the man that we loved and knew, he couldn’t write, he couldn’t play, he just existed and even then that was up for debate at times. I wanted him to watch the DVD, I wanted him to see what and who he had become, Bright Side wouldn’t have wanted this, he needed to know, he needed to be told but he just wouldn’t listen. He needed to work through his pain and even Bright Side herself had anticipated it, it just went to show how bone deep their connection was, it was beautiful. Stunningly beautiful. We finally get that little sliver of light in the form of Scout, I am not going to say too much about Scout but she was the wake-up call that Gus needed. He made her life hell, but she gave back as good as she got. The journey that these two went on was honest and real, no insta love, not even instant friendship but none the less a beautiful, sometimes hilarious read that will have your emotions all over the place. In the beginning these two were by no means perfect together, but they worked, they worked well, they were just what each other needed, they were there for each other, the right place at the right time. The way Kim Holden develops their relationship before your eyes was inspiring, that character connection resonates deep within and once again we have another character that you cannot help but love. Once again though Bright Side is not forgotten, this book was a celebration of her life, how life became after Bright Side but no-one would ever forget, forever at the forefront of people’s thoughts and memories and forever uttering or thinking “what would Bright Side do”? Every time she was mentioned the tears came, I just couldn’t help it and my thoughts would wander back to that orange book that decimated me last year. It was great to catch up with all the characters, no-body was forgotten in this book, while this book is predominantly all about Gus, Gus’s journey would never be complete without his friends and they are all there as one big happy family, even Keller. This is what I loved, Kim Holden brought them all together, they were a unit, they may have lost the anchor that held them tethered together but those friendships were for life and life means life. This was one emotional journey, but it was a necessary evil, the good far outweighs the bad and the journey that Kim Holden takes you on to get there was well worth the tears and the tissues. You have to sit back and salute Kim Holden, the woman is a genius, Bright Side was EPIC, Gus was EPIC, this author is just EPIC. This woman knows how to nail character connection; she brings these people to life. She knows how to nail emotions, she makes me cry even when not intended but most of all you live and breathe it all and that is what I love in a book. I want it to be an experience and this is one experience I will never ever forget. 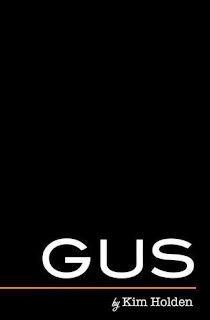 I totally and utterly loved Bright Side but I can honestly say I loved Gus just as much. Amazing job Kim Holden, you should be so proud, not only did you do Gus Hawthorne justice but us the reader too. You gave us a raw, emotional, yet uplifting story that will have mended many hearts. But I can’t reiterate enough how much I respect the honesty in this book, it made it for me. It was real, it was believable, dude...it was EPIC.